Do you need to control your critical business documents even after you have sent them? Protect your work group or company’s documents and keep them under control. With SealPath Enterprise, you will be able to know who within your organization or team has access to important documents that have been protected. You can also find out who outside your organization has access to protected documents and you can revoke access even when the documents are not in your possession. It logs warnings of attempts to access protected documents blocked due to lack of permissions. 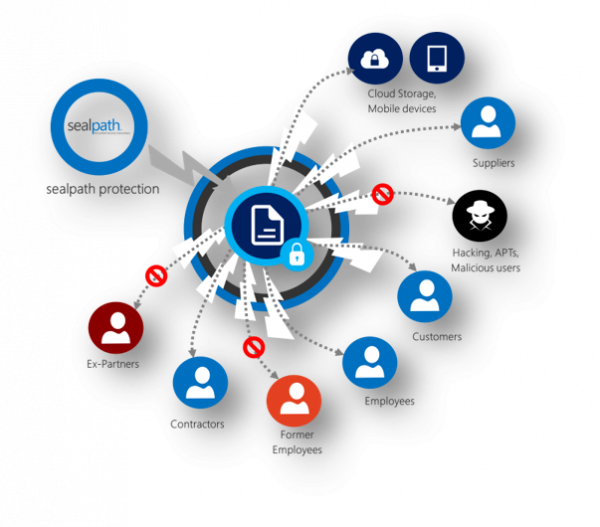 SealPath Enterprise is designed for small and medium – sized companies or even work groups within large companies / multinationals. Keep your documents under control when you share them within and outside your company. Revoke access remotely. Prevent someone who has left the job or work group from continuing to have access to documents, even if they are on their PC or somewhere else. Avoid financial losses resulting from negligence and data leaks. Comply with the main regulations governing the protection of sensitive data. Gain peace of mind with a tool that gives you significant control over monitoring sensitive documents. Protect the e-mail body and attachments with a single click from Outlook for all addressees or according to specific protection policies. You can restrict the permissions required to access the attachments (display, edit, copy and paste, print, etc.) or set expiry dates for the information sent. Keep your documents in any cloud you want, with the confidence that they will only be accessible to the people you choose. Your documents will be under control not only in your private cloud but also in any other private or public cloud. You don’t need to invest in complex infrastructure. We put it on our cloud for you. 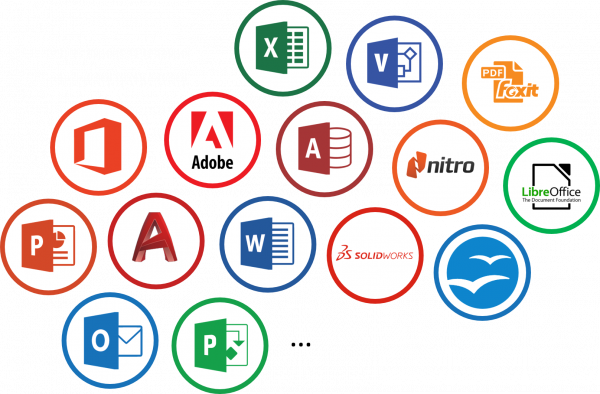 Use your regular work tools such as Microsoft Office or Adobe Acrobat to access your protected documents. Protect documents easily without passwords for each document, and the hassle of certificate exchange. SealPath does not store your documents. Keep them in your favourite public cloud or on-premises. How to create a document protection policy? How to set an expiration date to documents? How to send encrypted e-mails and attachments? How to set your document security warnings?